It is quite understandable that when a consumer is extremely satisfied with a product, he tends to ask for the same over and over again. In the vacuum world, DC-704 was the undisputed king of vacuum oils for a long time. Then, in 2012, Dow Corning, the American company manufacturing this oil; for reasons best known to them only; decided to stop the production of this oil and along with it – DC-702 and DC-705 also. For a while this caused world-wide panic, leading to overstocking of these oils by the user companies. Soon, the users, world over, acting wisely, found equal, in fact even better, options than this outdated oil. But for a few companies, this fascination, bordering on mania, for an ancient, though reliable product refuses to die down. Supervac Industries manufactures Ultra High Vacuum Silicone Diffusion Pump oil (SV-Sigma) which has proved its mettle against DC-704 time and again. Even when DC-704 was readily available, most companies took into account SV-Sigma’s excellent performance plus its sensible price and converted to using Supervac’s Ultra High Vacuum Silicone Diffusion Pump Oil (SV-Sigma). Today these people make a loyal fan base for the company which is growing substantially. Absence of DC-704 coupled with its still widespread demand has given an opportunity to many unscrupulous people to pass on spurious oil (often packed in tin cans) as DC-704. This so-called DC-704 oil is nothing but cheap recycled hydrocarbon oil distilled many times over to give it a light yellow color. 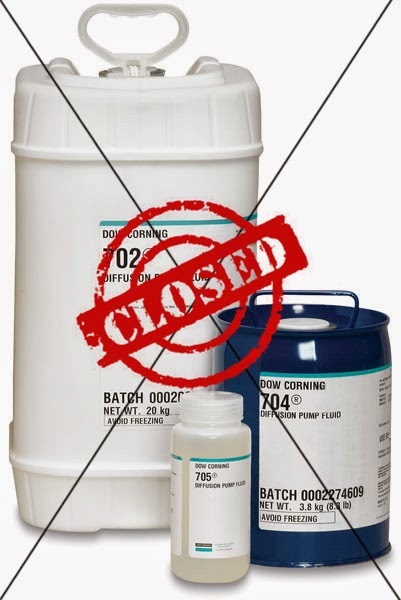 Surprisingly, the innocent users fail to take into account that DC-704 used to be colorless silicone oil packed by Dow Corning in plastic cans. This spurious oil can cause serious damage to the costly plant and pumps. Innocent, gullible people who are still hankering after DC-704 should give up their illogical love affair with a dead product. 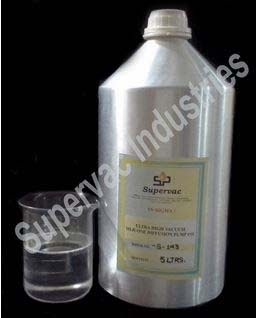 Supervac Industries is successfully supplying their Ultra High Vacuum Silicone Diffusion Pump oil (SV-Sigma) not only within India but also to many other countries around the world for the last almost 9 years.